Ed Allen, born about 1864 in Arkansas,1 was a black Arkansan who mentioned 19th Century black baseball in Arkansas as part of the Federal Writers' Project. See also Sam Scott. 1. 1870 U.S. Census , 1880 U.S. Census , 1900 U.S. Census , 1910 U.S. Census , 1920 U.S. Census , 1930 U.S. Census , 1940 U.S. Census . Allen is listed as black in the 1880, 1900, 1930 and 1940 censuses, white in the 1870 and 1900 census, and mulatto in the 1910 census. 3. 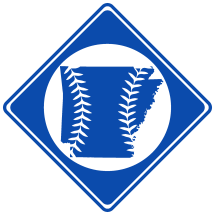 Baseball was first widely played in Arkansas around 1867.